A greenhouse pot experiment was conducted to investigate how the addition of two vermicomposts (commercial or produced from damaged greenhouse tomatoes) and/or inoculation with arbuscular mycorrhizal (AM) fungi affected availability and extractability of P, K and trace metals and biochemical quality of a soil contaminated with heavy metals. The pots were planted with Trifolium repens L., which was harvested 40 days after germination. Shoot and root dry matter of T. repens increased by the addition of both vermicomposts. 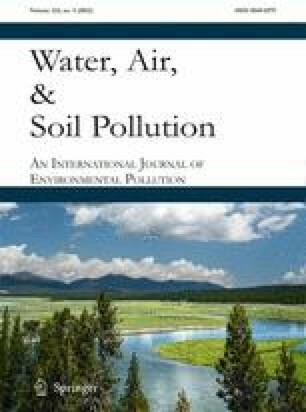 P, K, Fe, Mn, Cu and Zn uptake by T. repens increased after vermicompost addition, whereas Ni, Pb and Cd concentrations were below the detection limit of the method used. After harvest, AB-DTPA-extractable Fe, Cu, Zn, Cd and Pb decreased in the organically amended soil, whereas AB-DTPA P, K and Mn increased. The addition of both vermicomposts, particularly which made from damaged tomatoes, boosted dehydrogenase, β-glucosidase and urease activities in the postharvest soil, implying a higher microbial functional diversity and biochemical quality in this amended soil. Although phosphatase activities were greater in the postharvest soils with higher AB-DTPA-extractable metals, the other enzyme activities were negatively affected. The inoculation of the soils with AM fungi had weak effects on plant growth, as well as on the availability and extractability of metals and enzyme activities compared to non-inoculation. This study was financed by “Junta de Andalucía” project P05-AGR-00408. Manuel J. Fernández Gómez thanks the Science and Innovation Ministry for their FPU doctoral grant (AP2006-03452). We thank the vermicomposting treatment plant Lombricor S.C.A (Algallarin, Córdoba, Spain) for providing the commercial vermicompost. The authors thank Fernando Calvo for his technical support and David Nesbitt for assisting in the translation of the manuscript into English.